Nintendo Switch Pro Controller vs 8Bitdo SN30 Pro Controller: Which should you buy? We love to get our game on with our Nintendo Switches here at iMore. We've tried out nearly every controller option there is out on the market to help you pick out the best one for your needs. The Nintendo Switch Pro Controller provides a far better experience for your Switch gaming. It's far more comfortable to hold compared to the Joy-Cons, and it can be charge it with the same kind of cable as the Switch. It has HD Rumble, motion controls, and NFC amiibo reader support. Plus, the battery life holds up nicely for your gaming sessions. However, it is expensive. The 8Bitdo SN30 Pro Controller nicely replicates the original SNES controller aesthetically and in feel. It also includes a rumble vibration feature and has motion controls for your Switch games. You can use it with Android, Windows, macOS, and Steam. It's wireless with a rechargeable battery via USB-C cable. However, it does not come with amiibo support and some reviews mention that the left joystick has a tendency to stick. When it comes to your Nintendo Switch gaming, you definitely want to get the best experience, and that's best done with a separate pro-level controller besides the Joy-Cons. The Nintendo Switch Pro Controller is a great versatile option, but 8Bitdo's SN30 Pro is fantastic for retro games, so they each have their own purpose. Both the Nintendo Switch Pro Controller and the 8Bitdo SN30 Pro Controller are great options for Switch gamers. It really depends on if you prefer an overall versatile option, like the Nintendo Switch Pro Controller, or if you want something that's best suited for classic NES and SNES games, which is where the SN30 excels. Let's take a closer look. Overall, we think the Nintendo Switch Pro Controller is the better buy in terms of versatility solely for the Nintendo Switch. 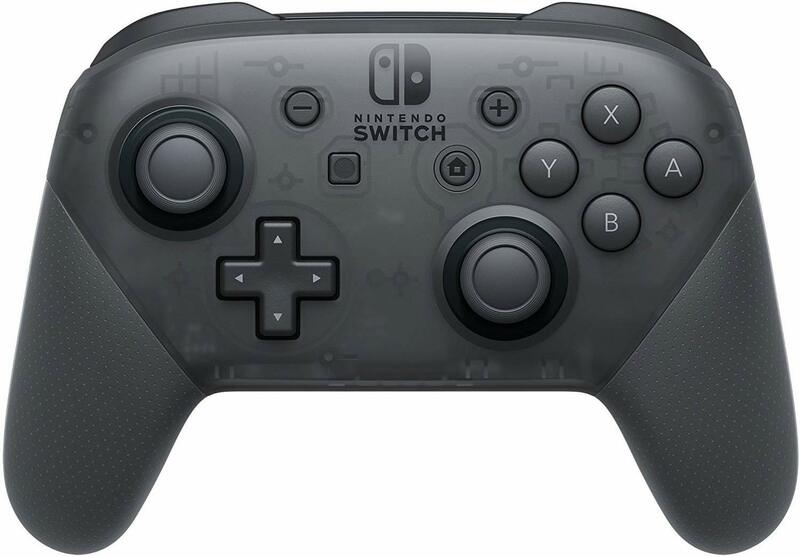 It has a modern and comfortable feel in the hand, and the buttons are laid out in the same kind of fashion as the Joy-Cons, so it's not much of a learning curve (aside from Screen Capture and Home buttons). Plus, you have motion controls and HD rumble just as Nintendo intended: without any wonkiness. There's also a full NFC reader for your amiibo needs built right in to the controller. However, if you play more classic, retro games on your Nintendo Switch, such as those NES titles available through Nintendo Switch Online, then the 8Bitdo SN30 Pro Controller is a better pick. The D-pad on it feels just like the original SNES controller and the button layout stays true to the original, making it a great option for classic games. 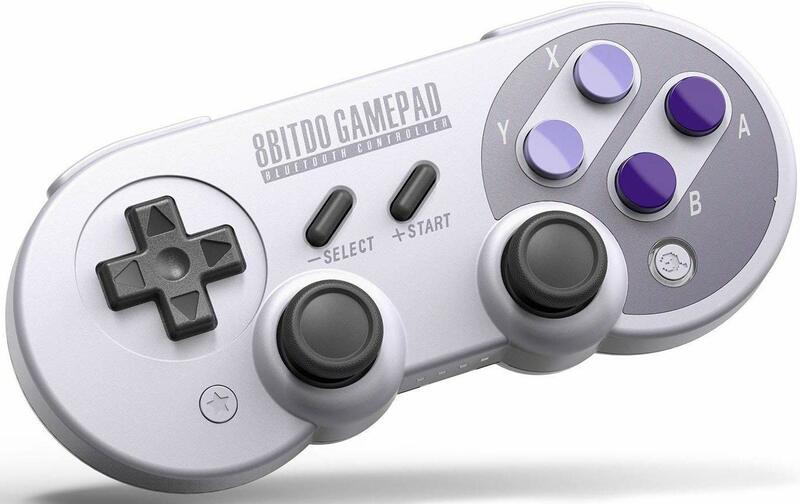 Another reason you may want to look into the 8Bitdo SN30 Pro Controller is if you want a controller that will also work with your Android, Windows, macOS, and Steam devices on top of the Nintendo Switch. Unfortunately, it will not work with iOS due to Apple's MFi protocol requirement. Still, we think the Nintendo Switch Pro Controller is overall better since it doesn't lack any Nintendo Switch features. The 8Bitdo SN30 Pro Controller is great for retro gaming and multi-platform support. Just be warned about that left joystick sticking issue with the SN30 Pro. The Nintendo Switch Pro Controller is a must for all Nintendo Switch gamers. The shape of the controller is comfortable for extended gaming sessions. It has HD rumble vibration and motion controls just like Nintendo intended, and there's even NFC built-in for your amiibos. Plus, the battery on the Pro Controller can last up to 40 hours, and uses the same USB-C cable as the Switch to charge. The SN30 Pro Controller from 8Bitdo is great for playing those retro NES games on Nintendo Switch Online, and then some. The authentic D-pad is what you need to flawlessly play your favorite classics. It also has rumble vibration, motion control support, and works with Android, Windows, macOS, and Steam.